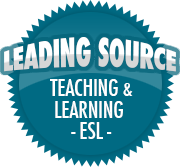 6 Goals for Living and Teaching in South Korea | So, You Think You Can Teach ESL? If you’re tuning in after my previous post, you’ll be relieved to hear that Mr. FedEx did eventually arrive and my contract successfully made its way to Korea. If you’re not, then you probably don’t care. Anywho, as moving day drawers ever closer, my daily range of emotions seem to fluctuate wildy between excitement and despair. Trying to ignore the majority of the internet’s opinions, I am feeling increasingly happy with my decision. How did I decide on this teaching job?